Napping: Too Much of a Good Thing? For many people, taking an afternoon nap is one of life’s greatest pleasures. A little daytime shut-eye can help you feel relaxed, rejuvenated and more alert – it’s no wonder that many cultures around the world enjoy daily siestas after lunch! Napping is a very common habit among older adults. Our energy levels naturally drop as we age. Many seniors are also light sleepers, so nighttime sleeping may not provide sufficient rest. And, contrary to popular belief, seniors need as much sleep as younger adults do, but they may have a harder time getting it. Health issues, chronic pain, medication side effects and the need to urinate frequently – all common problems for seniors – conspire to prevent quality sleep. Napping helps sleep-deprived seniors catch up on rest. However, it’s possible to have too much of a good thing. Excessively long naps can leave people feeling sluggish or groggy (a sensation known as “sleep inertia”), and it could interfere with nighttime sleep. When is napping a cause for concern? Napping offers benefits beyond rest and relaxation. Studies have found that naps can improve cognitive performance, reaction times, mood and memory. How long is the ideal nap? The answer depends on whom you ask, but in general, experts recommend keeping naps short: 10 to 30 minutes for a power nap, and no more than two hours for longer naps. Any more than that and nappers risk having trouble getting sufficient sleep (at least six hours) overnight. An observational study published in the Journal of the American Geriatrics Society in 2017 found that napping for an hour is best for boosting cognitive performance in older adults. The researchers analyzed the data of nearly 3,000 adults in China, who did tests that measured memory, attention and visuospatial abilities. Those who had the habit of taking moderate-length naps (30 to 90 minutes) after lunch had better performance than those who took shorter naps, longer naps or no naps. The best time to nap? For most people, it’s afternoons, to coincide with the natural post-lunch dip in energy. Napping can be beneficial, but if a senior is constantly nodding off, it could be a sign of trouble. There are many possible reasons why older adults might sleep the day away, and it’s important to find out what’s going on. Seek medical advice, if necessary. 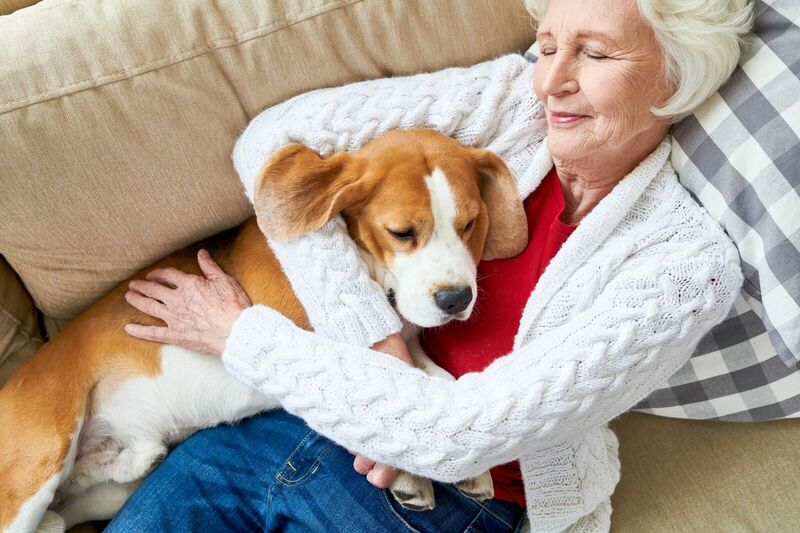 Sometimes, seniors fall asleep out of boredom – perhaps they don’t have enough stimulation, they are socially isolated, or they’re unable to take part in activities and outings because of health or mobility limitations. Don’t ignore boredom in a senior loved one – it could be a warning sign of decreased quality of life overall. Some health conditions can cause fatigue and sleep problems, including depression and other mental health issues. Low energy levels could also result from diabetes or a thyroid disorder. Sleep apnea – a disorder that interferes with a person’s breathing during sleep – can leave sufferers feeling fatigued, drowsy and irritable, as well as cause other health complications. Sleep difficulties are common among seniors living with dementia. Drowsiness is also a side effect of many medications. Poor eating habits and overuse of alcohol can also contribute to excessive daytime sleeping. Excessive sleeping means less time engaging in activities and with other people. If you’re concerned about your own sleeping routine or that of a senior loved one, consult a physician. Stick to a routine. Setting an alarm and getting out of bed at the same time each morning – even on weekends – can help you or your loved one maintain a healthy sleep pattern. Aim to get at least seven hours of sleep. Stay active. Physical activity, mental stimulation and social interaction are all important for a person’s quality of life. Safe and enjoyable activities – such as going for walks, doing crossword puzzles or spending time with friends – can help you or your senior loved one stay busy and engaged during the day. If going out is difficult, a personal caregiver or companion can provide conversation and company in a senior’s home. Turn off devices. As bedtime approaches, avoid bright lighting and don’t use TVs, computers and mobile devices. Pay attention to food and drink. Avoid consuming a large meal before bedtime. Avoid caffeine, which is found in tea, coffee (even decaf), chocolate and chocolate-flavoured foods, in the late afternoon and evening. Avoid drinking alcohol before bed (it might make you drowsy, but you might also wake up in the middle of the night). Drink less fluid as bedtime approaches, so you won’t have to get up to use the washroom. Relax before bedtime. Create an evening routine that helps you wind down. For example, try taking a warm bath, reading a book or meditating to calm to your mind. Create a sleep-friendly setting. Your bedroom should be quiet, cool and dark. If there is too much light, consider wearing a sleep mask or installing black-out curtains. Physical activity and mental stimulation during the day can contribute to restful sleep at night. If you or your loved one could benefit from some companionship to enjoy a more active lifestyle, contact Bayshore Home Health.